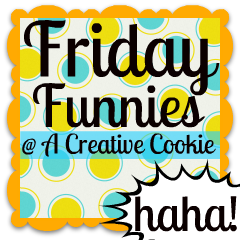 Hi there and welcome to Friday Funnies #4! I've gotten some great response the past few weeks and can't wait to share some more smiles! But before I go... raise your hand if you laughed at Thor's photo! I know I did! My entry into The DIY Dreamer... From Dream To Reality sponsored by Appliances Online and their best Range Cookers.